My Math Genius | Pay someone to do your statistics assignment or exam! Hire/Pay an expert to do your statistics homework for you! Get help with your Statistics Homework and get it done by our experts! Statistics can be a quite challenging topic when it comes to handling assignments or even take home exams. Even expert mathematicians can have problems while trying to solve some of the more difficult statistics problems since they require attention to detail and a complete understanding of statistical principles. When you need help with any sort of statistics homework, MyMathGenius.com is the perfect place to come to for assistance since we have an expert staff which has helped hundreds of students just like you. Whether it is those pesky statistical distributions that intimidate you or the variety of tests measuring confidence intervals and such, we can do it all. In a matter of hours, you can have a math genius working on any statistics problems which you are stuck on. Not only will the math genius give you the solutions to the problem, s/he can also give you step by step guidelines on how s/he arrived at the solution. This will show you the exact process by which a statistics problem can be solved and will help you learn from the process. Our goal is to ensure that you understand how any statistical problem can be solved rather than to give you just a final answer. When you see step by step solutions, you will appreciate how problems such as these can be tackled and your future assignments and math homework will become a piece of cake. Upload your statistics assignment for a totally FREE no obligation quote which can put you on your way to getting a complete solution to your problems with statistics. Remember you don't pay a single penny if you do not like the quoted price and the expected grade to your assignment. And if our experts fail to secure you the grade they claimed, you can always request your money back. Why work for hours on your statistics homework or project when you can have top math geniuses solve your statistics problems and give you guaranteed solutions for any assignment or take home exam. In the past we have also worked closely with distance ed students taking statistics courses to provide them with step by step solutions to all statistics questions with guaranteed grades. Just ask for a free quote to your assignment and get a response from us within hours. 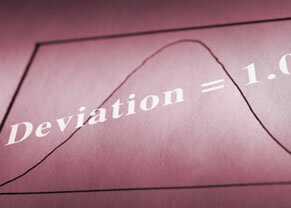 For all your math homework and statistics related problems, we can give you solutions with guaranteed grades. We will tell you exactly what grade we expect the assignment to get and if our math genius can not keep their word you don’t pay a single penny. There is absolutely nothing to lose, you get the grade we tell you on your assignment or you get your money back.